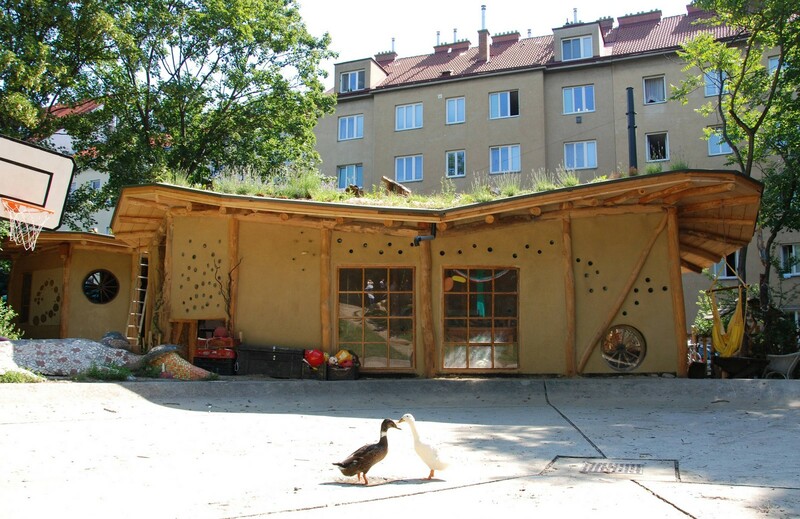 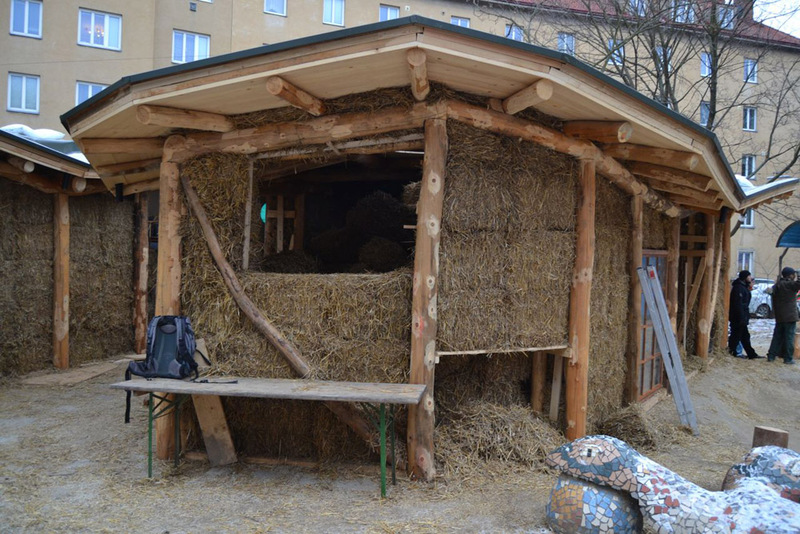 The two buildings in this Robbiton Playground in Vienna (Wiener Kinderfreunde) with a total of about 100 m2 were made almost entirely of natural materials, the children at the playground were thereby included in all project phases: They collected ideas for the design, recorded and crafted the first models put on the site, built straw bale walls (in a workshop by asbn), plastered it with clay and planned the biotopes at the green roof with students from BOKU (University of Natural Ressources and Life Sciences). 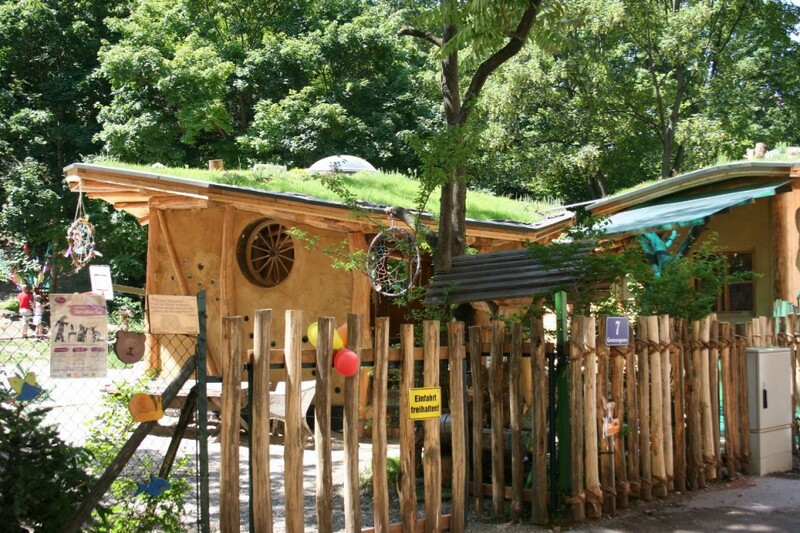 In Robbiton a Nature Lab for microscopy and a workroom are housed, the “hobbit-houses” also serve as shelter for bad weather situations. 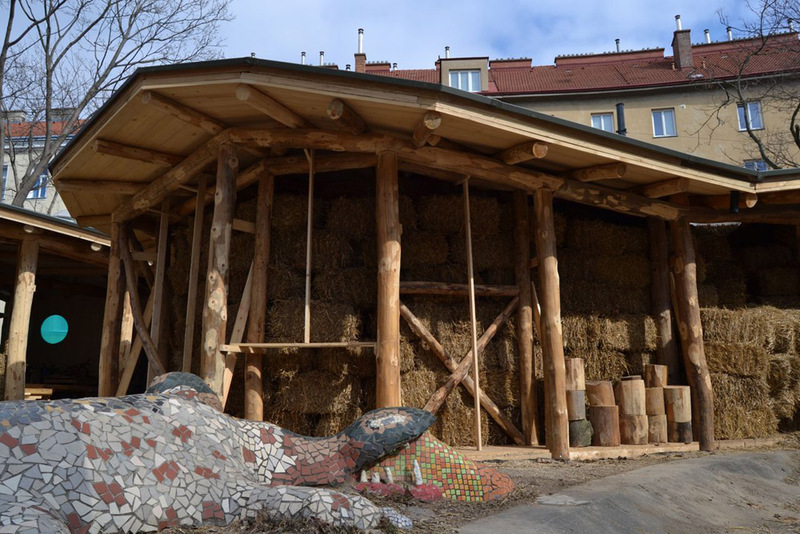 “This playground offers children the opportunity to discover the world on their own and let their creativity run wild,” says Councillor Christian Oxonitsch from the organization “Wiener Kinderfreunde”. 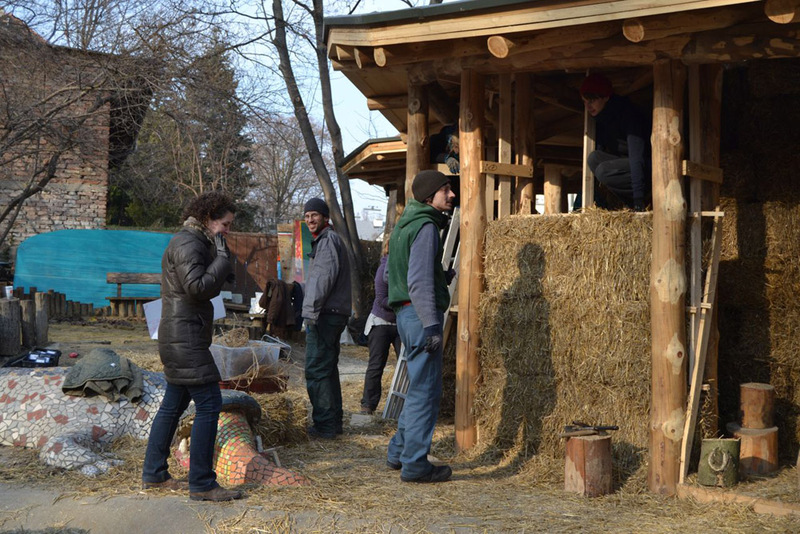 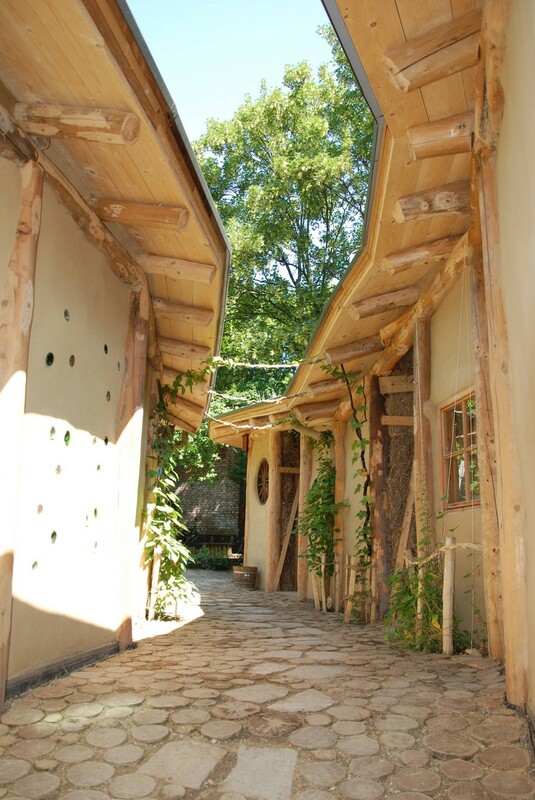 Robbiton serves as an urban best-practice example for natural building with the participation of the youth.